Sometimes your everyday basic routine needs a little extra something, whether you're feeling extra dry during the winter, dealing with a few unexpected blemishes or looking to brighten up a dull complexion, face masks are a great booster treatment to your daily skin regime. New to me in the sheet mask department are the 2-step face masks currently quite popular in Korea and can be considered the next big trend. This new type of mask includes an pre-mask "ampoule" (usual a cream or gel/cream) that is applied to the face before the application of the sheet mask. Meant to increase absorption, enhance the effect of the mask and also to maintain moistness, this new 2-step face mask had me very intrigued. 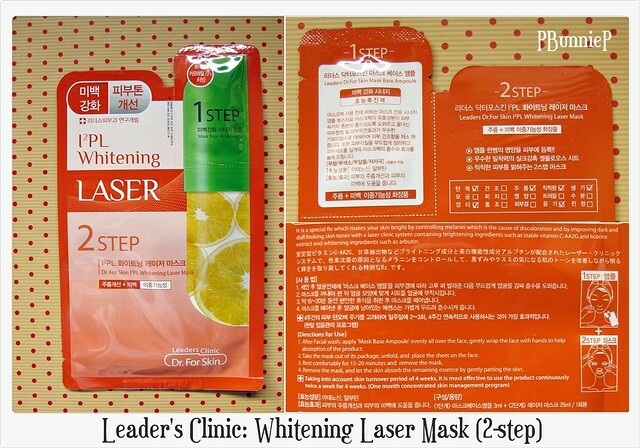 Today I introduce to you two prominent Korean brands, Leader's Clinic and Bidanpo Mediental each with their own specialization in their approach to skincare and both offering a wide range of face mask treatments. 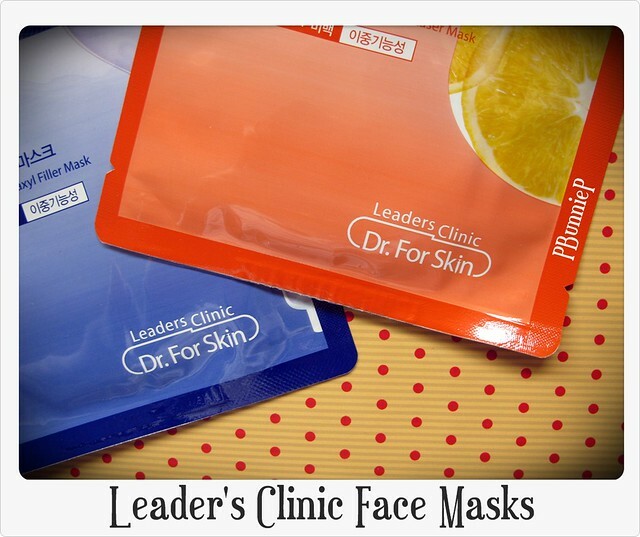 At first glance, the packaging and over all feel of Leader's Clinic masks situates itself as a skincare line that has a modern but approachable feel. The bold colours and graphic design of the envelopes appears quite sleek and the large text makes these masks easy to identify. Here I have two masks, one for intensive hydration and the other for skin brightening. a special prescription by dermatologists." Claim:"It's a special RX which vitally tends to dried skin by forming a moisture coating film which restores moist energy deep into the skin so that moisture can be maintained for long periods of time with a peeler clinic system containing moisture building ingredients such as aqua seal which has excellent moisture retention, phyto oligo, and ceramide." This two step moisture retention mask comes with a small packet of "gel-cream" called the "Base Ampoule" which tears off the side, along with a sheet mask. The first step is to apply the mask which does feel like a heavy layer on the skin, you will get more than enough product to cover your entire face so you may not need to use the whole packet. Personal thoughts: Recommended for those with very dry or dehydrated skin seeking immediate and long term hydration. The mask does leave a coating on the skin which will help lock in moisture but isn't ideal for combination/oily skin for daytime use. Claim: "It is a special Rx which makes your skin bright by controlling melanin which is the cause of discolouration and by improving dark and dull looking skin tones with a laser clinic system containing brightening ingredients such as stable vitamin C-AA2G and licorice extract and whitening ingredients such as arbutin." 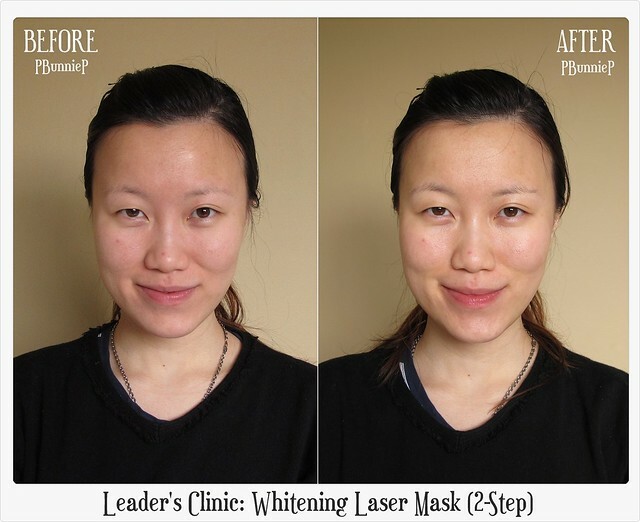 The I2PL Whitening Laser mask also comes in a 2-step system and while the name "laser" can sound just slightly intimidating it also sounded very fancy indeed. Personally, I have quite a few red blemishes I hope to heal up and perhaps lighten up the skin on my forehead which tends to tan much easier than the rest of my face. 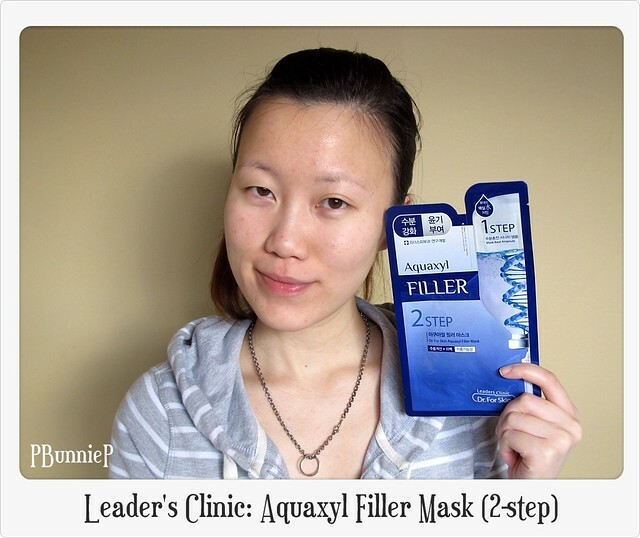 The step one ampoule from this mask is thinner in consistency than the Aquaxyl and much more comfortable to apply. In fact it almost runs in my hand a little, it applies to the face with a very wet almost glossy look to the skin. 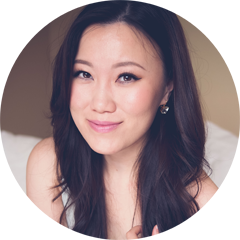 Personal thoughts: Recommended for those looking to brighten their skin with immediate and long term results. Fresh, non-sticky texture and is especially great for combination skin. 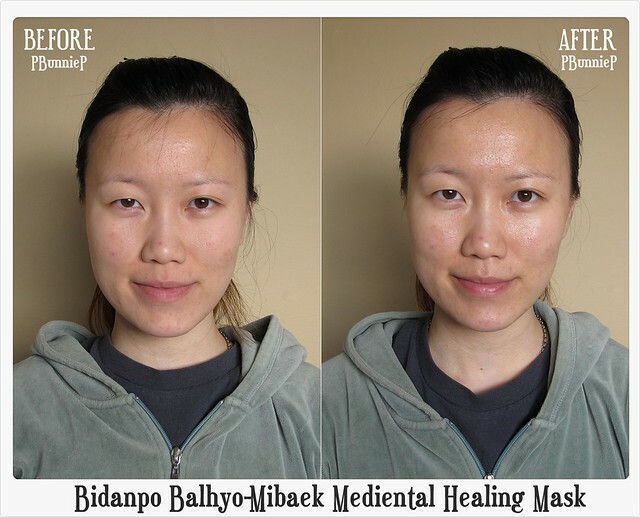 Bidanpo Mediental is a brand that takes a different approach to skincare, using herbal/medicinal ingredients they produce masks that contain a complex combination of natural ingredients formulated to be compatible with the skin from a medicinal perspective. 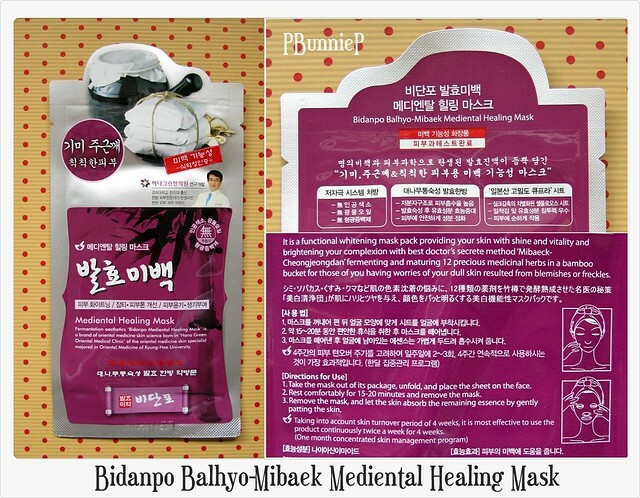 In a sense, Bidanpo Mediental combines traditional ingredients with modern research and science to create their luxury face masks. Their packaging and brand aesthetic reinforces their strong pharmaceutical background. skin science born in the "Hana Green Oriental Medical Clinic." 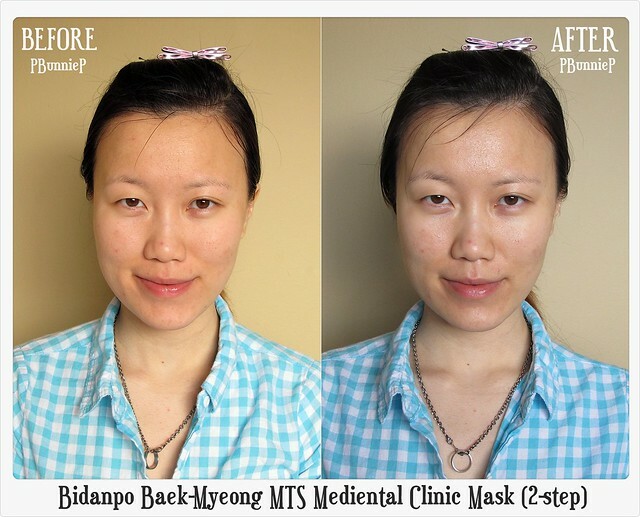 Claim: "It is a functional whitening mask pack providing your skin with shine and vitality and brightening your complexion with best doctor's secret method 'Mibaeck-Cheongjeongdan' fermenting and maturing 12 precious medicinal herbs in a bamboo bucket for those of you having worries of your dull skin resulted from blemishes or freckles." This first mask I have here is actually a one step mask, what you would expect from a normal type sheet mask. 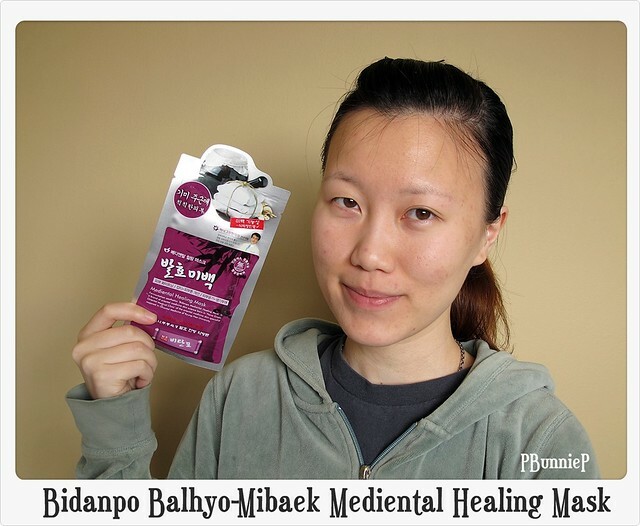 As I am always interested in learning about natural/plant derived skincare (since I do believe those are more organic in nature and thus more compatible with skin) Bidanpo Mediental's herbal approach to skincare had me very excited. Here you see an image of a medicine pot with medicinal satchels on the front of the packaging. Oh believe me, those things don't task very good but herbal medicine is highly regarded. Personal thoughts: Recommended for those wanting to maintain a plump and healthy complexion. No immediate brightening effects for me. 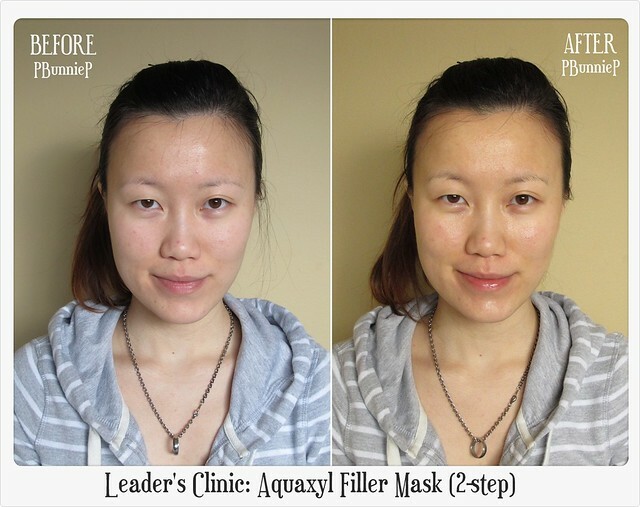 Claim: "With the extra 'Clinic Mask' with bamboo matured 'Mi-baeg Fermentation Solution' applying the principal of Oriental medicine aesthetic care and 'Booster only for Masks' promoting absorption of the mask, it is a 2-step (improvement in wrinkle + whitening) functional mask providing double pleasure. It clears blemishes on the skin and makes a bad complexion bright and shiny." 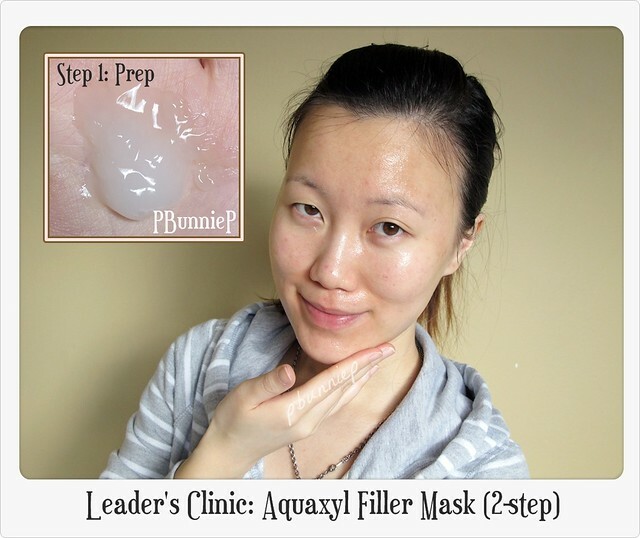 Like the others, this one is a 2-step system with a base ampoule and a separate sheet mask. 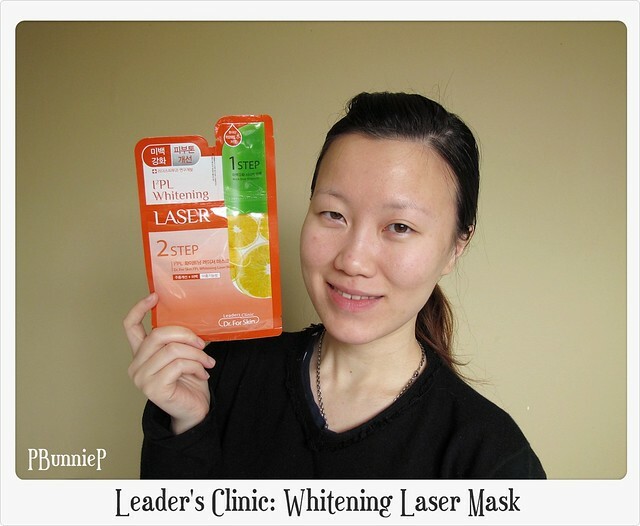 So detach the packet, apply it evenly on the skin before putting on the mask itself. The texture of this base ampoule is incredibly runny and little yellow in colour. Personal thoughts: Recommended for those who want a combination of brightening and hydration. 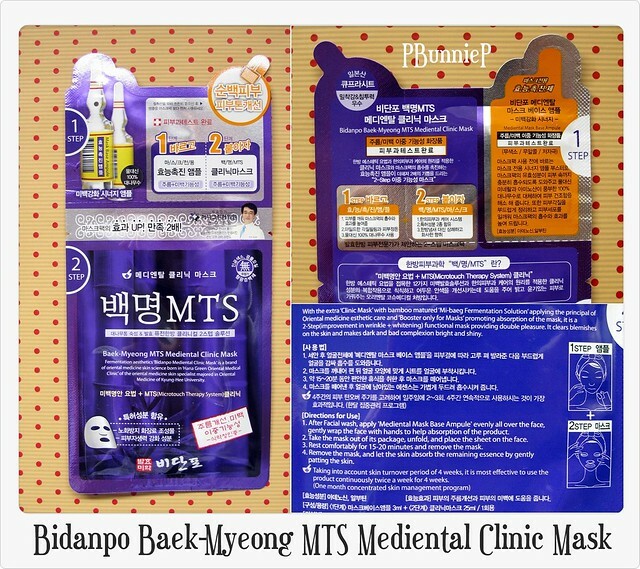 Although being very popular brands locally in Korea, both Leader's Clinic and Bidanpo Mediental are hard to find outside of Asia. In fact, I've never personally seen them anywhere in stores. 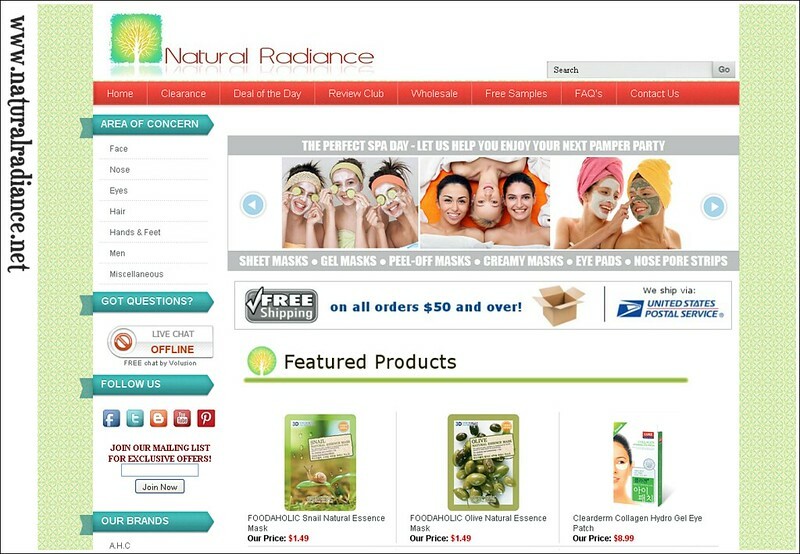 Natural Radiance(.net) currently carries a comprehensive line of both brands as well as other types of premium face masks. 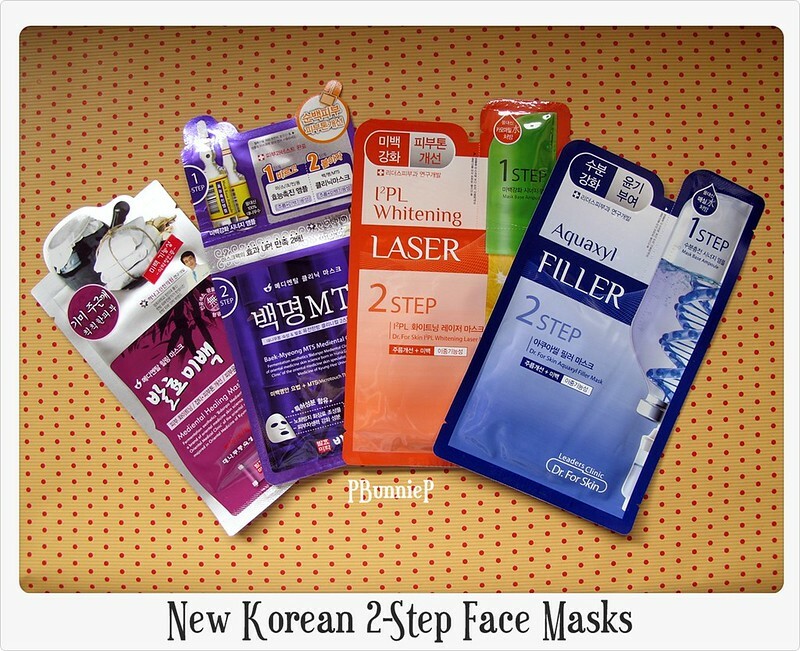 Stocking directly from Korea, they offer hard to find face mask products that may be just what you need and even better they are located in Texas (USA) which will make shipping so much easier if you live in either Canada or the US. 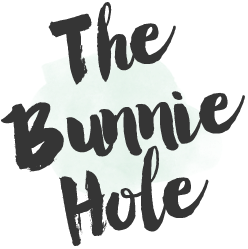 Enter "PBunnieP" at the checkout for 15% off of your entire total purchase. One time use, can not be combined with any other offers. 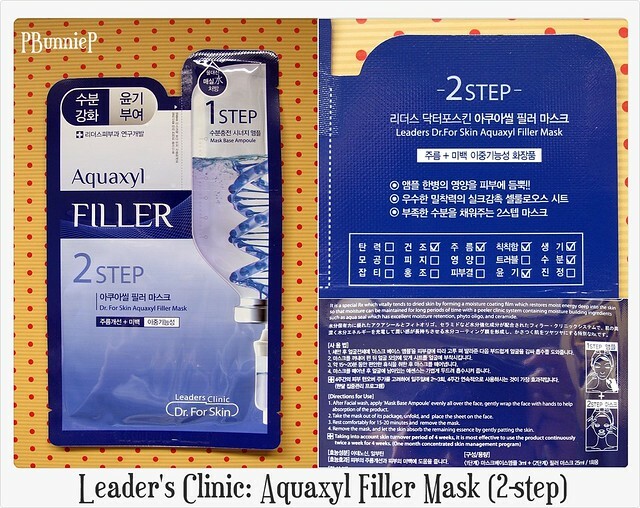 Do remember that these are "treatment masks" and are meant to be used in treatment phases of 4 weeks. Although they recommend twice a week application of optimal results, I think it might be sufficient to try a once a week plan for one month to see if it will suit your skin. But of course, since every one's skin is different and we all have different needs in our skincare, why not try these luxury face masks for yourself? Natural Radiance(.net), the online retailer for these new face masks has generously provided me with an extra one of each type to share with you! 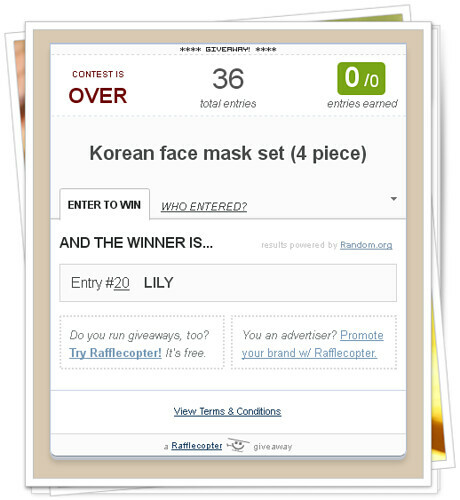 Please answer the mandatory entry question in the Rafflecopter widget, it will keep track of all entries. Maximum of 1 enter per person. Open to all residents of Canada and the USA. Please be of 18 years of age or have parental permission to enter. Remember to use a valid email that is checked often, winners will be contacted within one week after the end date.